Pack Up My Room: I can't believe my time in the sorority house is coming to an end. It feels like I just moved in yesterday. It's been an extremely interesting and memorable chapter in my college career and It's an experience I'm happy to say I had. This week I need to start packing up, because after finals I'm out of here! Continue to Take Smaller Steps Toward Healthier Living: Last week I was pretty satisfied with the small steps I took. This week it's time to build on that and continue adding even more to those small baby steps. Here's to a little bit more exercise and general wellness! Blog 4x: I don't want to let finals get in the way of consistent posting. This week I'm aiming to stay on top of this blog! I don't like it when I'm away for long. Master Winged Eye Liner: I just picked up some new liquid liner and am excited to try some different looks with my new liner. I desperately need to master winged or cat eye liner! Excited to play around with it this week. Get Healthy: I was definitely more mindful about my health. I started incorporated squats and jumping jacks into my morning wake-up routine, got an app to track my water intake, and have tried to just be more mindful overall. It's all about baby steps! Stay on Top of Schoolwork: So much work accomplished this past week! So happy to only have four tests standing between me and a bit of a break! Test Drive Orange Lipstick/stain: With the help of a unused Target gift card, I was able to purchase some orange lip balm! I'm really pleased with it and it's so fun to wear! I'm feeling totally in step with this warmer weather! 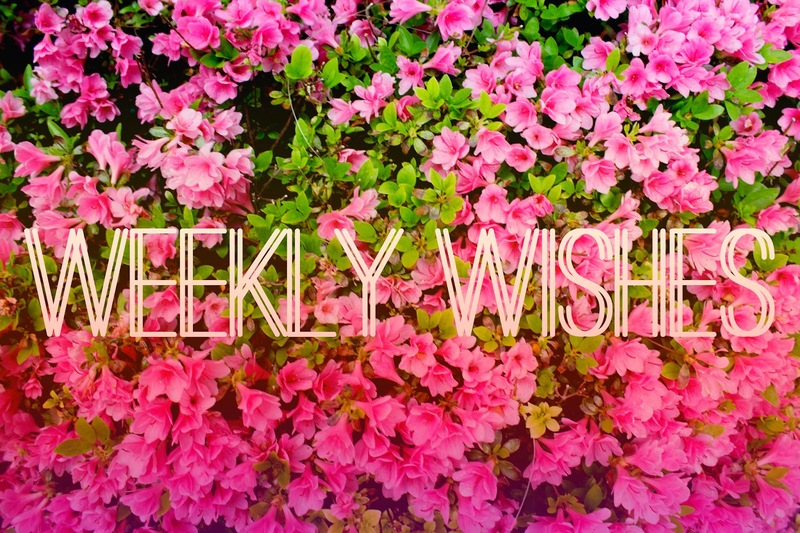 What are your goals/wishes for this week! Let me know in the comments below! I love taking baby steps toward healthier living, because soon you watch those baby steps turn into this whole lifestyle change. Keep it up! Also, I am totally with you on not wanting to let the blog just fall by the waste side when there is other stuff to get done. I'm finding that planning and chunking my days for both priorities helps to make that a reality! Taking baby steps towards healthier living is definitely the way to do it -- I know way to many people who fail because they try to change everything all at once. I have been using an app called Fitocracy to track my exercise that I really like a lot! I am with you on the getting healthy, when I eat healthily and exercise I just feel so much better!